While we clear our heads following last week’s salvo of PlayStation news and announcements ($399! ), today we’re bubbling up some of our favorite new game trailers from E3 2013. For my money? Nothing’s topping the weird, wistful, and wonderful new trailer for Hohokum, though Transistor, Tearaway, and Octodad all make strong arguments. What’s your favorite new trailer? Awesome trailers guys! Great E3! I’m a young gamer so I haven’t seen many E3s but this was by far the best E3 ever. PlayStation for life! P.S. I can’t wait for inFAMOUS Second Son and Knack! so many vita trailers! Im skeptical about 85 games coming out in 6 months. Umm it took over a year to hit like 110 actual games, not Counting pointless apps. Final Fantasy XV and Kingdom hearts 3. Period. Hideo Kojima saved his game for PS4 later at TGS. Some more new japanese game should reveals too there i guess. Just added Ninja Gaiden Z after watching the trailer. Though i have to say Square Enix has my money on FFXV & KH3. Playing ARR & it’s lookin’ amazing! Still, i must say everything coming out this fall & holiday season is great. Tons of variety, new IPs, all kinds of genres. . .you name it. @2, a lot of those titles are probably going to be mobile games. In reality we’ll only have a handful of ‘real’ games. @4, They’re focusing on Sony press conference game trailers, I’m sure MS has an exclusive advertisement contract for the time being just how Sony has for other games. My personal favorite was Transistor. Not because it was necessarily the best trailer, but because it was so unexpected even though I had already seen the original trailer a while back. A beautiful looking indie game with a game mechanic I haven’t yet experience being so well supported is very cool. Hohokum was my favorite trailer as I loved the music. Second would be Tearaway as that game looks fantastic. oh, and honorable mention to one not listed here: Stick it to the Man. That game has a great look and I’m super intrigued to see what that game is about. The Order 1886 and Knack. @7 I feel the exact same way. if only I lived it Japan, then I could really play a playstation vita. So is Diablo 3 only coming to the PS3 now and not the PS4? That trailer only lists it as a PS3 game. Both! PS3 first in September, PS4 at a later unspecified time. Two not listed that I’m really looking forward to are The Crew and The Division from UBISOFT. But really, is there anything that we aren’t looking forward to? There is not yet a definitive release date for the PS4 version is all. 2014 is likely for it though. FFXV STOLE THE SHOW. STANDING OVATION…it received the only one. Mind. Blown. When it happened live I screamed in excitement waking up other family members. It was worth it, lol. final fantasy XV & tearaway <3 i want the PS4 now!! Just noticed something… Is that Ezio (or another assassin) in the middle of the FFXV trailer? Anyways, FFXV and Infamous SS were probably my favorite trailers of E3, followed by the Titanfall one. What ever happened to the 3-D headset oh well my be this Christmas we will finally hear something about it shhhh its a secret. PS4 has already won the Next Gen race… if Sony doesn’t make there own HDD and charge to much for them… wink wink!!! Infamous 3, Batman Arkham Origins, and Kingdom Hearts 3 are the major titles at E3 that i’m looking forward to. @17, you mean the Oculus Rift? It doesn’t go commercial till next summer (if it doesn’t get delayed). I can’t wait until they announce it’s console compatible. @19 and on that note. I’m not big on racing games, but heck. I’d be one happy camper getting into the genre with the Rift. I can already picture CNN covering how dozens of people around the country are getting heart attacks from playing horror games on it. Though just a tech demo, I enjoyed The Dark Sorcerer. PLEASE release it for download on the store. Tie for me, Transistor and the Order. I want to know if everyone in the Order has a name from the knights of the round table or just one? Murdered: Soul Suspect & The Order: 1886 trailers are tied for 3rd place for me. Soul Suspect is the best Introductory Trailer to a NEW IP since Dead Island. Fantastic. and I realize it’s the developers’ fault.. for not optimizing Jak 1 and Jak 3 to not have dips.. because it’s not the Vita.. The Vita can handle amazing graphics. I’d just say to have more filtering when it comes to those ports.. they’re making the Vita look bad. It’s true. I kinda just wanna get through Jak 1 so I can play the second one, which is supposedly much better frame-rate wise. I’m really excited for oddworld! Just a single question, do you have any info regarding today’s update about the video file of the Press Conference? Acording to Grace it was going to be available last week, so, that. By the way, GREAT collection of trailers! Finally! Final Fantasy XV !!!!! The trailers that had age restrictions worked great, but that’s not the case for the rest. I already have my PS4 completely paid for at GameStop, and I have Killzone, Watch_Dogs, AC IV: Black Flag, and DRIVECLUB pre-ordered. I would like to know exactly what we will be getting with DRIVECLUB: PlayStation Plus Edition. I would like to know whether or not it’s the full game, or just a portion of it. If it’s the full game, I’ll switch my pre-order to The Order: 1886, but if it’s only a portion of the full game, I’ll just keep my pre-order and get The Order later. I would also like to see a post on the Blog (this week if possible) featuring high-resolution screenshots of both the controller, and the PS4 from all possible angles. I’d appreciate it if you could get that info for me, and keep up the great work! 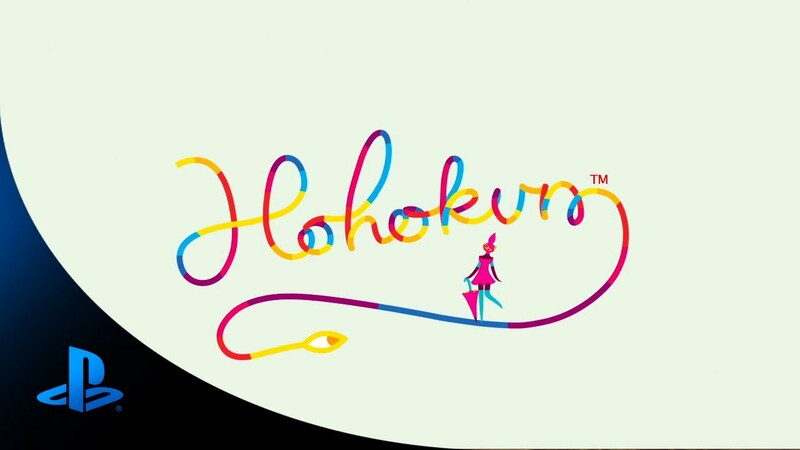 Hohokum, is a MUST for my Ps collection, buy as soon as you can!!! I ABSOLUTELY HATE YOU PLAYSATION. I loved the Ps3 and Ps4 untill i heard that you have to buy Playstation plus just to play multiplayer. You just lost a huge advantage. I do not understand this E3, it is having more new video games for the PS3 and PS4 especially while Ps vita is still fresh and having only few games, what’s the hell? why Ps vita players must satisfy themselves with PSone and PS2 games? Hey Sony wake up, it’s time to stop your paranoid political and finally begining create video games for your Ps vita. Just look at the list here : Most people already are PS+ subscribers. It’s the same on my friend list as well. With the free games and sales, it pays for itself easily! Personally, I rarely even play online and if PS+ would become like the current X-Box Live Gold and we would lose some of the advantages in exchange for online play, I would cancel my subscription. While Sony does own multiple studios, the blunt force of Playstation has always been third parties. If they don’t want to make games for PS Vita because they fear it wouldn’t sell enough, then they simply won’t and Sony cannot force them. Devs make games to make money. The funds that will be generated for Sony by the requirement of having PlayStation Plus to get access to online multiplayer will be helping to bolster the online network for EVERYONE. As an older gamer and previous Playstation owner (PS One, PS2, PSP) that switched to the Xbox platform, I must say the E3 showing of the PS4 and VIta platforms literally obliterated the competition (*cough* XboxDone *cough*)!! I will be getting back on board with you Playstation! Special thanks to Bungie for only showing Destiny on the PS4!!! They must have know the “other” platform would tank at E3!! I’m only focused on Batman:Arkham Origins,Watch Dogs and Infamous Second Son.